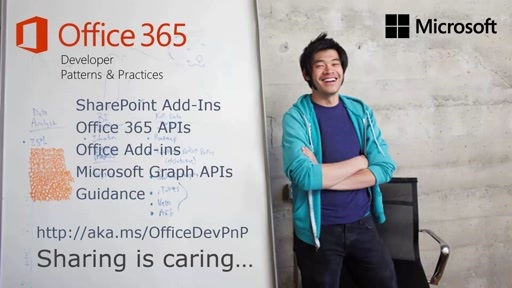 Skype recording of the Office 365 Developer Patterns and Practices (PnP) May 2016 community call kept on 10th of May 2016. 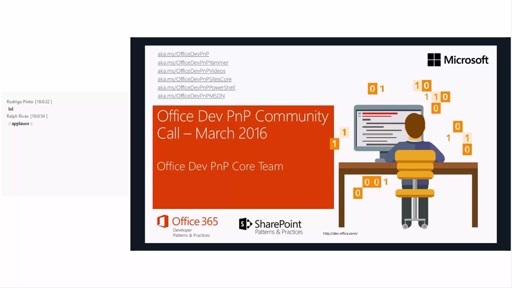 Thanks everyone who participated and let's continue discussion in PnP Yammer group. Big thanks also for all the contributors for latest monthly release of PnP initiative. 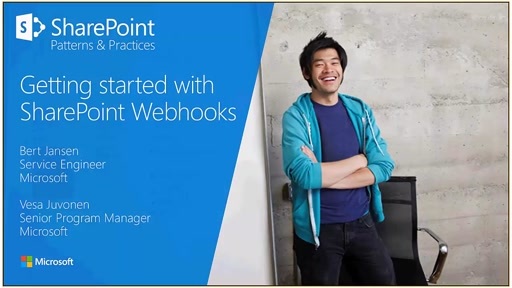 Notice that we went slightly long this time due all the incoming questions around the new SharePoint Framework. 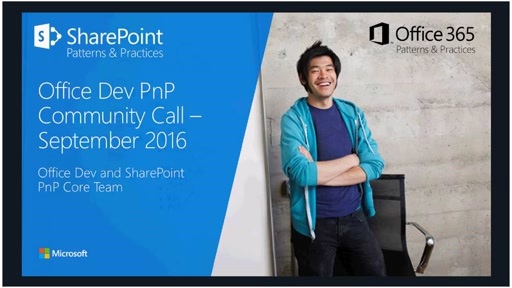 If you are interested on joining these monthly calls in future, please download recurrent invite from https://aka.ms/OfficeDevPnPCall. This contains schedule and connect information until June 2016. We'll have a break during July and we'll continue on same monthly schedule starting from August 2016. 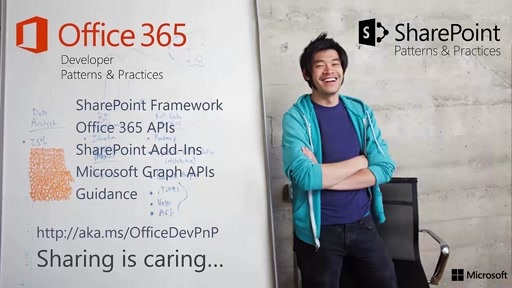 If you have any questions, feedback or comments around the presentation or PnP program in general, please use the PnP Yammer group for reaching out to others in the community and to PnP Core team.